An altercation outside of a club brings Theo face to face with a hard wall of hotness and a taste of something he never thought he'd need. Dan is intrigued by what he finds in the young man he restrained, but his past and Theo's innocence might keep him from giving Theo everything he needs. From the very beginning we can see the potential between both Theo and Dan. It's an encounter that's both hot and chaotic so it left me feeling a little confused as to where the book was going. The butterfly thoughts in Theo's mind, the interaction between him and his ex, the interference from Dan, the implication of Dan's partner, the ending of that moment...I wasn't sure what to make of it and I felt unsettled. I can't exactly say that the book gets better. While there are a lot of moments where we come to know both men as individuals and I can see quite a bit of potential, I wasn't exactly pleased with the little depth we got from them together. The steam was definitely steamy, the emotions were all plain to see and vulnerability reined, but marrying the two just didn't come together. 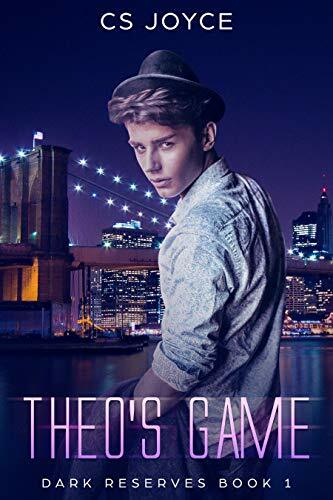 For a book that heavily hints that Daddy kink will play a central role for both men, this book is surprisingly light on all that makes Daddy kink so effective for someone like Theo. There isn't nearly enough in the way of communication of rules, expectations, consequences, consent, and safety. Follow-through is also seriously lacking. Because there wasn't enough of a foundation built between the two of them when Theo spirals out of control the way Dan handles the situation seems utterly inadequate. I was severely disappointed in how this pivotal aspect of their relationship was portrayed. So I have to say that this story was quite average for me. It was neither great nor awful, but the potential and moments of caring and honesty kept me from writing it off. There were glimpses of what could have been really good, so while I wasn't won over, there were some nice things here that a lot of other people will appreciate.